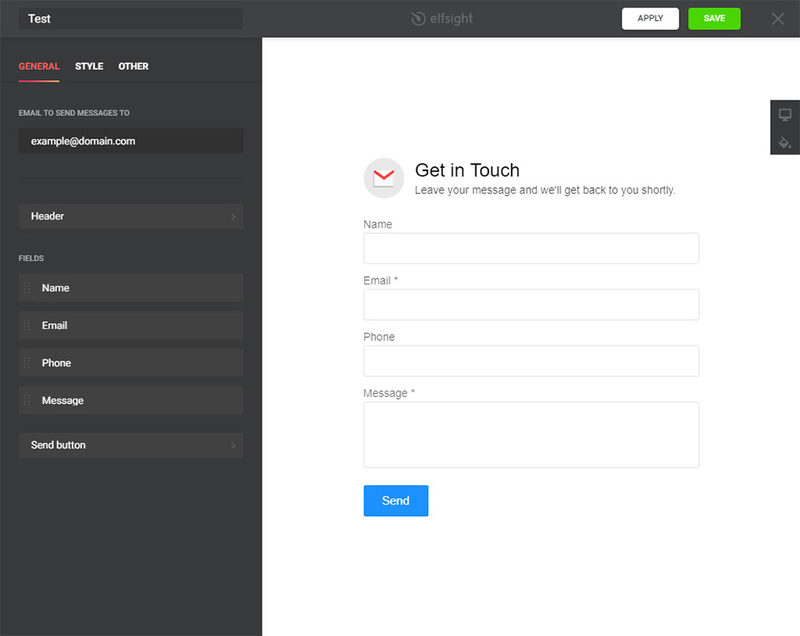 Elfsight Contact Form – is an effortless in tuning plugin, which gives a chance to create order forms, contact us forms and other diverse forms without experience in development. BONUS: Create your contact from right here! 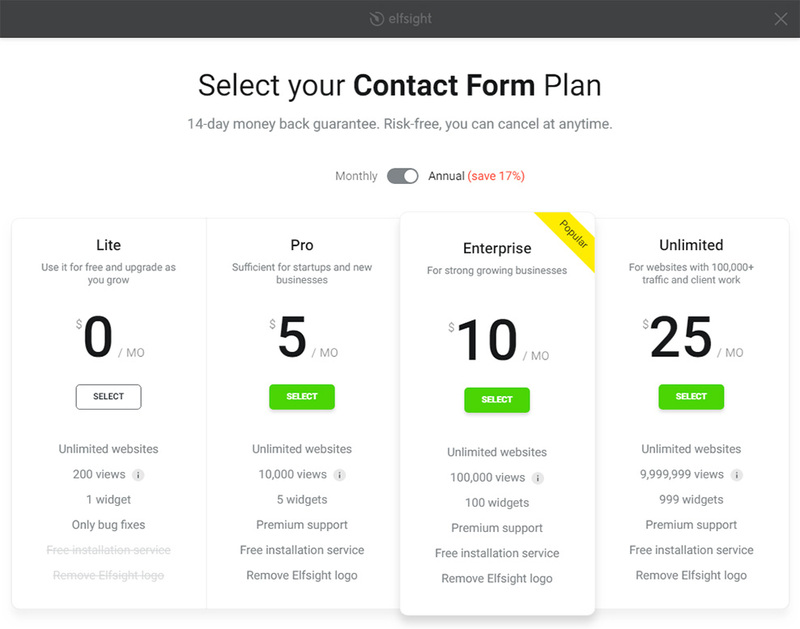 If you need a simple and conversion-raising contact form to have maximum responses from clients and enhance efficiency of your resource, then Elfsight extension is the ideal variant for you. Stay in touch with clients 24/7, receiving messages on your email and boost leads for your business! Installation of our extension is ultimately easy and intuitive; it will take you only a couple of minutes. Follow all steps described below to install an extension. Follow this link (Live Editor) to create a module. Select the right design and output settings to set up the module that will blend with your website. Or learn more on product page. After your module is shaped, choose your subscription plan. We offer free and paid plans to suit any needs. The final step in setting up our service is to obtain the module html code. To access editing panel, sign in to your account. 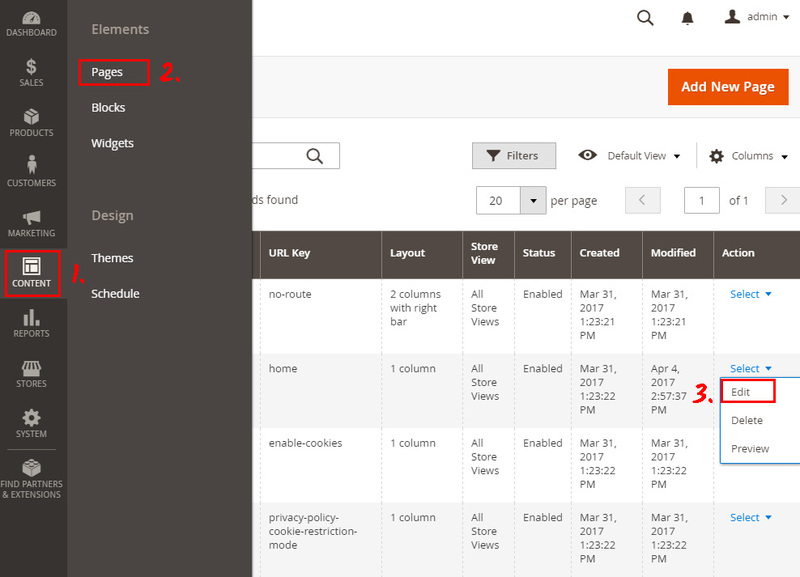 In the side menu, find Content tab and press «Pages». Choose the required page and click «Edit». 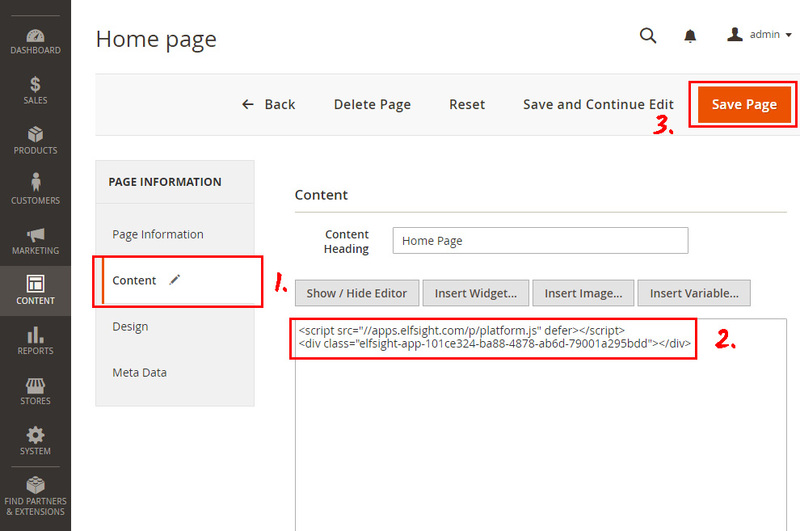 Paste the code, which you received after form adjustment on Elfsight Apps, and save the changes. The form has been installed on your website! After the product is installed, you can as well change it any way you like. To do so, visit Elfsight apps website and start Live Editor. You can correct texts, alter templates, or choose suitable display option. All changes made in the Live Editor will be immediately applied on your website. 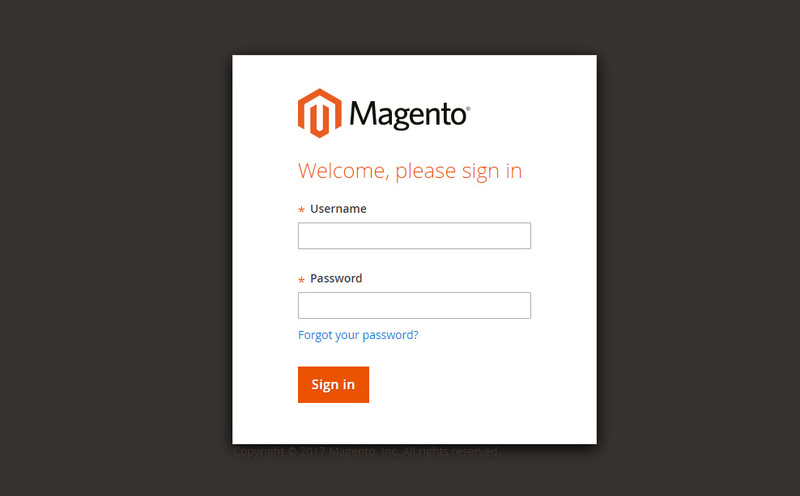 To check other smart Magento extensions by Elfsight and install them, enter your account. 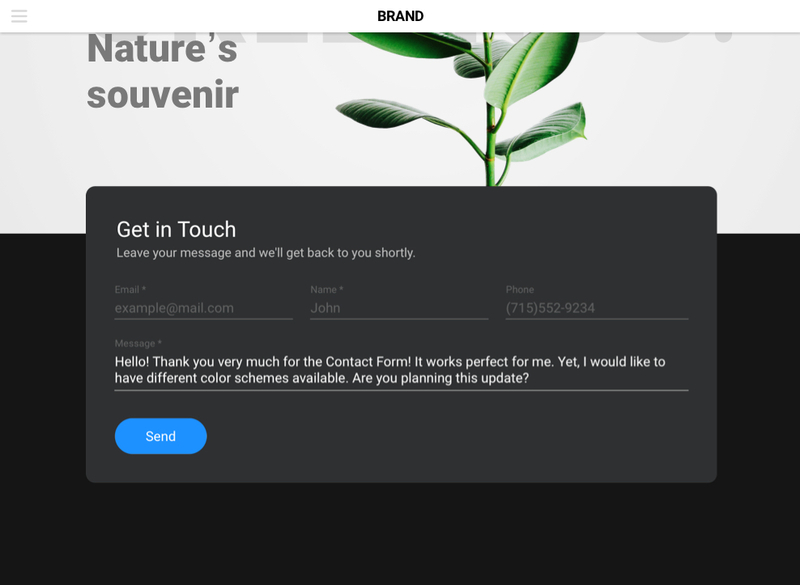 Create your Contact From right here! Free editor to create extensions immediately.